Are you searching for affordable pendant lights for your kitchen, bar or another room in your home? If so, the lighting experts at M&M Lighting in Houston would love to speak with you about your lighting needs and design preferences. As a Top Rated Local® lighting showroom in Houston, we have thousands of lighting products to choose from, including a wide variety of pendant lighting. Whether you are looking for large pendants to provide ambient lighting or mini pendants to provide focused task lighting, we are sure to have the right solution for your space. Shop our entire catalog online now or swing by our impressive showroom today to speak with an experienced member of our team. Schedule an appointment today. 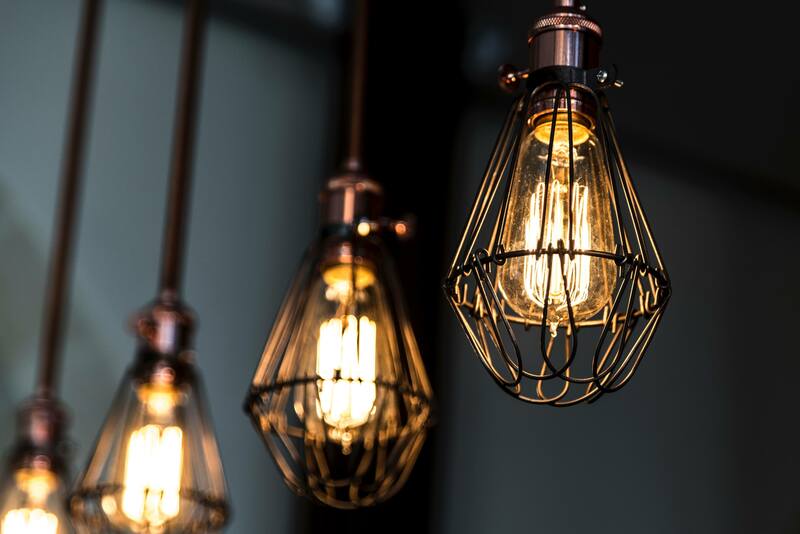 With so many different types of pendant lighting to choose from, it can be hard to decide on pendant lighting fixtures for the rooms in your home. But before you find a style or design you fall in love with, you have to make sure you have the correct measurements for the room you’re installing the pendant lighting in. If you get pendant lighting that is too big for a small room, it will make the room feel smaller and more cluttered. If you get pendant lighting that is too small for a large room, the room will feel vast and unevenly distributed. A general rule of thumb is this: the larger the room, the larger the pendant lighting should be. Smaller pendant lighting is most effective in smaller spaces, such as over a desk in an office or over your bathroom sink. 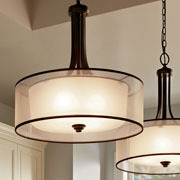 You can also group pendant lights together, which looks great above a dining room table or your kitchen island. Pendant lighting should hang 12 to 20 inches below a typical 8-foot ceiling, and for every foot that your ceiling is higher, add 3 inches to that range. This will ensure your taller guests won’t run into any of your hanging pendant lights. 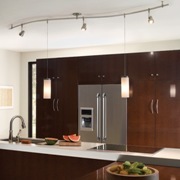 Example: A 10-foot ceiling should have pendant lighting that hangs 18 to 26 inches below. Keep at least 30 to 36 inches of room between any pendant lights and table surfaces. This will ensure you’re able to look at friends and family members without the light fixture getting in the way. Lighting accessories such as dimmers and switches can help adjust the lighting to either be mood lighting or functional task lighting. Helpful tip: Don’t get too hung up on finding the perfect size of a fixture if you absolutely love a pendant light. Most pendant lighting fixtures come with adjustable chains or extension rods so you can find the ideal hanging height for the light in your room. At M&M Lighting in Houston, we provide a variety of pendant lighting styles and finishes so you can find a design that best suits the overall atmosphere of your home. 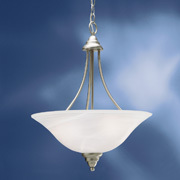 Our pendant lighting comes in the following types: bowl style, glass down, sphere and starburst. 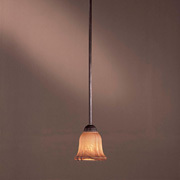 We also have pendant lighting shade options, which you can learn more about below. Pendant lights do it all. They provide functional lighting for all-purpose illumination, and they can also be used for task and accent lighting. You can choose pending lighting fixtures that face up or down, or pendant lights that feature one single light bulb or multiple ones. When it comes to pendant light shades, there are usually three types of materials that manufacturers typically use: glass, metal and fabric. These shades can be used to add an effect to the room or to change the level of illumination being presented to the room in your home. 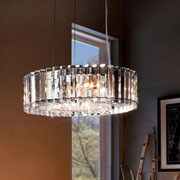 At M&M Lighting, we have drum shades, fabric shades and metal shades for our pendant lighting. Fabric shades tend to be more widely used in rooms such as the bedroom or living room area, whereas metal and wood shades can be used for a trendy look in your kitchen, dining room or hallway areas.